During the period of Brezhnev's leadership, the term "Era of Stagnation" was not used. Instead Brezhnev used the term "period of developed socialism" (Russian: период развитого социализма) for the period which started in 1971. This term stemmed from Khrushchev's promise in 1961 of reaching communism in 20 years. It was in the 1980s that the Soviet leader Mikhail Gorbachev coined the term "Era of Stagnation" to describe the economic difficulties that developed when Leonid Brezhnev ruled the Soviet Union from 1964 to 1982. Scholars have subsequently disagreed on the dates, significance and causes of the stagnation. Supporters of Gorbachev have criticised Brezhnev, and the Brezhnev administration in general, for being too conservative and failing to change with the times. Nikita Khrushchev, who preceded Brezhnev as Soviet leader, introduced relatively liberal reforms during the period known as the Khrushchev Thaw. However, Khrushchev's involvement in the Manege Affair of 1962 marked the beginning of the end of the Cultural Thaw. The 1964–82 period in the Soviet Union began hopefully but devolved into disillusionment. Social stagnation began following Brezhnev's rise to power, when he revoked several of Khrushchev's reforms and partially rehabilitated Stalinist policies. Some commentators regard the start of social stagnation as being the Sinyavsky–Daniel trial in 1966, which marked the end of the Khrushchev Thaw, while others place it at the suppression of the Prague Spring in 1968. The period's political stagnation is associated with the establishment of gerontocracy, which came into being as part of the policy of stability. The majority of scholars set the starting year for economic stagnation at 1975, although some claim that it began as early as the 1960s. Industrial growth rates declined during the 1970s as heavy industry and the arms industry were prioritized while Soviet consumer goods were neglected. The value of all consumer goods manufactured in 1972 in retail prices was about 118 billion rubles. Historians, scholars, and specialists are uncertain what caused the stagnation, with some arguing that the command economy suffered from systemic flaws which inhibited growth. Others have argued that the lack of reform, or the high expenditures on the military, led to stagnation. After the death of Brezhnev in November 1982, Yuri Andropov succeeded him as Soviet leader. Brezhnev's legacy was a Soviet Union that was much less dynamic than it had been when he assumed power in 1964. During Andropov's short rule, modest reforms were introduced; he died little more than a year later in February 1984. Konstantin Chernenko, his successor, continued much of Andropov's policies. The economic problems that began under Brezhnev persisted into these short administrations and scholars still debate whether the reform policies that were followed improved the economic situation in the country. The Era of Stagnation ended with Gorbachev's rise to power during which political and social life was democratised even though the economy was still stagnating. Under Gorbachev's leadership the Communist Party began efforts to accelerate development in 1985 through massive injections of finance into heavy industry (Uskoreniye). When these failed, the Communist Party restructured (perestroika) the Soviet economy and government by introducing quasi-capitalist (Khozraschyot) and democratic (demokratizatsiya) reforms. These were intended to re-energize the Soviet Union but inadvertently led to its dissolution in 1991. Robert Service, author of the History of Modern Russia: From Tsarism to the Twenty-first Century, claims that with mounting economic problems worker discipline decreased, which the Government could not counter effectively because of the full employment policy. According to Service, this policy led to government industries, such as factories, mines and offices, being staffed by undisciplined and unproductive personnel ultimately leading to a "work-shy workforce" among Soviet workers and administrators. While the Soviet Union under Brezhnev had the "second greatest industrial capacity" after the United States, and produced more "steel, oil, pig-iron, cement and [...] tractors" than any other country in the world, Service treats the problems of agriculture during the Brezhnev era as proof of the need for decollectivization. In short, Service considers the Soviet economy to have become "static" during this time period, and Brezhnev's policy of stability was a "recipe for political disaster". Archie Brown, author of The Rise and Fall of Communism, claims in his book that the term Era of Stagnation "was in many ways a fitting description, for this was a period of declining growth", but noted it could be misleading in non-economic spheres. Brown states there were high growth rates in the mid-to-late 1960s (during the Eighth Five-Year Plan) claiming that the Soviet economy "enjoyed stronger growth in the second half of the 1960s than it ever did thereafter". The link between these growth rates and the Kosygin reform is, according to Brown, "tenuous", but says that "From the point of view of communist rulers, the Brezhnev era was in many ways successful". While the Soviet Union was in no way an economic power, its natural resources provided a strong economic foundation, which bore fruit during the 1973 oil crisis and "turned out to be an energy bonanza". On the other hand, Brown states it was a sign of weakness that the Soviet Union grew so dependent on her natural resources, as she did in the 1970s. Some Marxist-Leninist writers have argued that economic stagnation was a result of revisionism in Soviet economic policy during Khrushchev's leadership. According to authors like Harpal Brar, Khrushchev's de-Stalinization program was also used to implement economic reforms that would move the USSR away from central planning and towards market socialism. This is also supported by comparing economic performance preceding the reforms with post-reform economic performance. In 1980, RIA Novosti reported that the Soviet Union showed the highest, in Europe, and second highest, worldwide, industrial and agricultural output. The Soviet statistics claimed that in 1960, the Soviet Union's industrial output was only 55% that of America, but this increased to 80% by 1980. The 18 years of Brezhnev's leadership of the Communist Party saw real incomes grow by more than 1.5 times. More than 1.6 billion square meters of living space was commissioned and provided to over 160 million people. At the same time, the average rent for families did not exceed 3% of the family income. Housing, health care, and education were affordable and low-priced. As the circulation of the work force could not be balanced by salaries, there was a lack of workers in some areas, largely in the agricultural sector. This was partly solved by forcing "nonproductive" urban population (older pupils, students, scientists, soldiers, etc.) to work during the harvesting time as agricultural workers. The practice has been informally called "naryady na kartoshku" (Russian: наряды на картошку "assignments to potato fields"). Acts of protest took place in reaction to the Warsaw Pact invasion of Czechoslovakia with protesters being dismissed from their jobs, beaten or arrested. Eight protesters held a demonstration in Red Square in Moscow and were subsequently imprisoned. A number of suspected dissidents had their homes and property searched and a group of Moscow lawyers specialised in defending people charged with anti-Soviet activity. Supporters of these meetings and demonstrations claimed that the arrests were illegal, because there is no criminality in the realization of the human right to obtain and distribute information. They asserted this right was part of the Universal Declaration of Human Rights (1948) and the final act of the Conference on Security and Co-operation in Europe (1975). During the introduction of glasnost, many writers claimed that they did not know about the repression of citizens who did not support the Brezhnev politics. However, artists propagating "Soviet values" within the framework of Socialist realism formed a well paid, elite group that enjoyed an easy life and high social status. Nevertheless, a noticeable part of Soviet scientists and artists (collectively known as "the dissidents") continued both open and clandestine political opposition to the regime which they began during the Khruschev rule. Prominent nuclear physicist Andrey Sakharov and Soviet Army General Pyotr Grigorenko are well-known representatives of this movement. 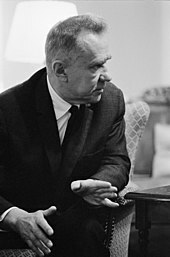 Many other members of the Soviet intelligentsia systematically criticized the social and moral manifestations of the Stagnation without overtly challenging the authorities. Examples include writers Viktor Astafyev and Oles Honchar, playwright Grigory Gorin, directors Eldar Ryazanov and Mark Zakharov. ^ Many economists argue that the net material product (NMP; Soviet version of gross national product (GNP)) contained distortions and could not accurately determine a country's economic growth. Because of this, several specialists created GNP figures to estimate Soviet growth rates and to compare Soviet growth rates with the growth rates of capitalist countries. Grigorii Khanin published his growth rates in the 1980s as a "translation" of NMP to GNP. His growth rates were (as seen above) much lower than the official figures, and lower than some Western estimates. After the dissolution of the Soviet Union in 1991, Khanin's estimates led several agencies criticise the estimates made by the Central Intelligence Agency (CIA). Since then the CIA has generally been regarded as having overestimated Soviet growth. In response to the criticism of CIA's work, a panel led by economist James R. Millar, was established to check out if this was in fact true. The panel concluded that the CIA were based on facts, and that "Methodologically, Khanin's approach was is naive, and it has not been possible for others to reproduce his results. 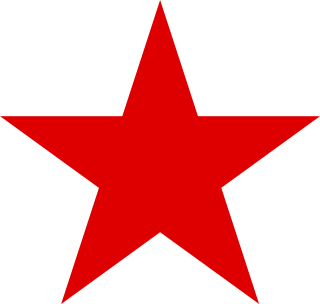 ^ According to Soviet statistics: There were significant improvements made in the economy during the Eighth Five-Year Plan (1966–1970). The economy grew by 7.7% during the Eighth Five-Year Plan, but slowed during the Ninth Five-Year Plan (1971–1975) and Tenth Five-Year Plan (1976–1981) when the economy grew by 5.7 and 4.2 respectively. ^ "The World Factbook". Cia.gov. Retrieved 2015-09-07. ^ a b Dowlah & Elliott 1997, pp. 148–149. ^ Reid, Susan Emily (2005). "In the Name of the People: The Manege Affair Revisited". Kritika: Explorations in Russian and Eurasian History. Slavica Publishers. 6, (4): 673–716. doi:10.1353/kri.2005.0058 – via Project MUSE. ^ Bacon & Sandle 2002, p. 143. ^ Bischof, Günter; Karner, Stefan; Ruggenthaler, Peter (2010). The Prague Spring and the Warsaw Pact invasion of Czechoslovakia in 1968. Rowman & Littlefield. p. 92. ISBN 978-0-7391-4304-9. ^ "1964-1982 - The Period of Stagnation". GlobalSecurity.org. Retrieved 2 August 2017. ^ James W. Gillula (1983). The Reconstructed 1972 Input-output Tables for Eight Soviet Republics (Manufactured goods sector was worth 118 billion rubles in 1972). U.S. Department of Commerce, Bureau of the Census. Retrieved 2 January 2016. ^ Khazanov, Anatoly M. (1992). "Soviet Social Thought in the Period of Stagnation". Philosophy of the Social Sciences. SAGE Publications. 22 (2): 231–237. doi:10.1177/004839319202200205. ^ Grant, Ted (22 September 2006). "Russia, from Revolution to Counter-Revolution". In defence of Marxism (Part 6). Retrieved 31 December 2011. ^ Service 2009, p. 417. ^ Service 2009, p. 402. ^ Service 2009, p. 409. ^ Sakwa, Richard (1999). The Rise and Fall of the Soviet Union: 1917–1991. Routledge. p. 339. ISBN 0-415-12290-2. ^ Bacon & Sandle 2002, p. 38. ^ Bacon & Sandle 2002, pp. 43–44. ^ Bacon & Sandle 2002, pp. 44–45. ^ Bacon & Sandle 2002, p. 53. ^ Bacon & Sandle 2002, pp. 50–51. ^ Bacon & Sandle 2002, p. 63. ^ a b Brown 2009, p. 415. ^ Bacon & Sandle 2002, pp. 415–416. ^ Hanson 2003, p. 98. ^ Hanson 2003, pp. 98–99. ^ Hanson 2003, p. 99. ^ Daniels 1998, p. 46. ^ Daniels 1998, pp. 47–48. ^ Daniels 1998, p. 47. ^ Daniels 1998, p. 49. ^ Volkogonov, Dmitri; Shukman, Harold (1999). Autopsy for an Empire: The Seven Leaders Who Built the Soviet Regime. Simon & Schuster. p. 262. ISBN 978-0-684-87112-7. ^ Brar, Harpal (1992). Perestroika: The Complete Collapse of Revisionism. ISBN 187461301X. ^ Harrison, M. (1993). "Soviet economic growth since 1928: The alternative statistics of G. I. Khanin". Europe-Asia Studies. 45 (1): 141–167. doi:10.1080/09668139308412080. ^ Dowlah & Elliot 1997, p. 148. ^ Dowlah & Elliot 1997, p. 149. ^ Dowlah & Elliot 1997, p. 146. ^ Law, David A. (1975). Russian Civilization. New York: Ardent Media. p. 221. ISBN 0-8422-0529-2. ^ Zemtsov, Ilya (1989). Chernenko: The Last Bolshevik: The Soviet Union on the Eve of Perestroika. Transaction Publishers. p. 86. ISBN 0-88738-260-6. ^ a b c d e f "Советская экономика в эпоху Леонида Брежнева" [The Soviet economy in the era of Leonid Brezhnev]. RIA Novosti. 8 November 2010. Retrieved 31 December 2011. ^ Bacon & Sandle 2002, p. 58. ^ "Хроника Текущих Событий: выпуск 3" [Chronicle of Current Events: Issue 3]. memo.ru (in Russian). 30 August 1968. Retrieved 2 January 2016. ^ Andrew Roth (9 August 2018). "Nearly half of Russians ignorant of 1968's Czechoslovakia invasion – poll". The Guardian. ^ "Хроника Текущих Событий: выпуск 4" [Chronicle of Current Events: Issue 4]. memo.ru (in Russian). 31 October 1968. Retrieved 2 January 2016. ^ "Letter by Andropov to the Central Committee". 10 July 1970. Archived from the original on 11 March 2007. ^ Universal Declaration of Human Rights, resolution 217 A (III), accepted 10 Dec. 1948. ^ "Conference On Security And Co-Operation In Europe Final Act". Helsinki: OSCE. 1 August 1975. Retrieved 27 February 2016. ^ Sofia Kallistratova. We were not silent! – open letter to writer Chingiz Aitmatov, in Russian. С. В. Калистратова. Открытое письмо писателю Чингизу Айтматову, 5 мая 1988 г.
Daniels, Robert Vincent (1998). Russia's Transformation: Snapshots of a Crumbling System. Rowman & Littlefield. ISBN 978-0847687091. Dowlah, Alex; Elliot, John (1997). The Life and Times of Soviet Socialism. Greenwood Publishing Group. ISBN 978-0-275-95629-5. Bacon, Edwin; Sandle, Mark, eds. (2002). Brezhnev Reconsidered. Springer. ISBN 9780230501089.